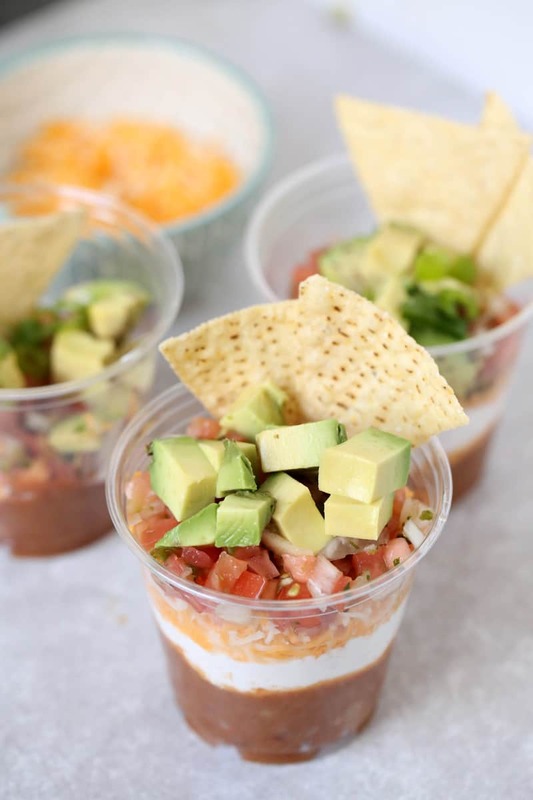 These easy nacho cups quick to prepare and perfect for parties! 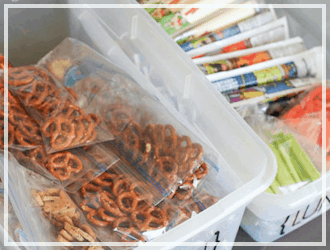 One thing about my house, with as big as it is, we are always needing easy snacks for so many occasions. Kids parties, study sessions, or even just everyone has a friend over, all the sudden the house becomes full of hungry bellies! 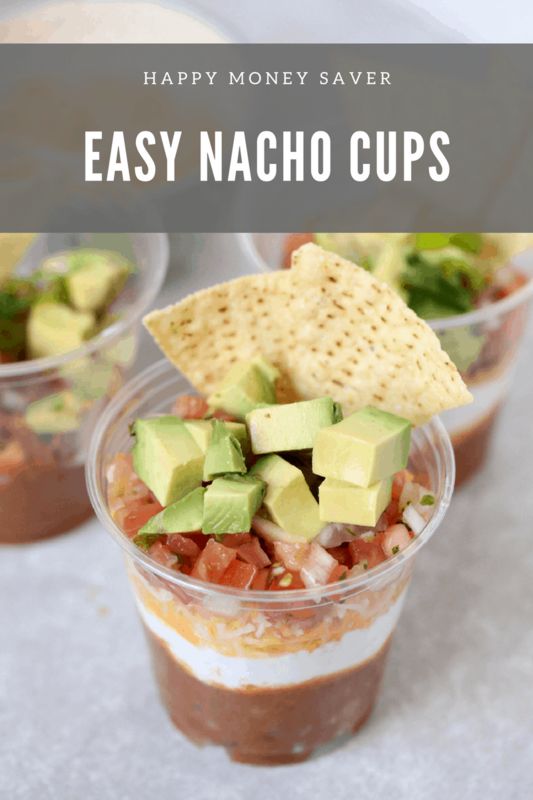 I’ve found one of the EASIEST snacks that everyone loves are simple nacho cups. 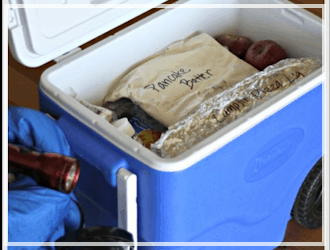 You can prep all your ingredients ahead and have them handy in the refrigerator and ready to roll out so everyone can build their own when the hungry mob strikes. 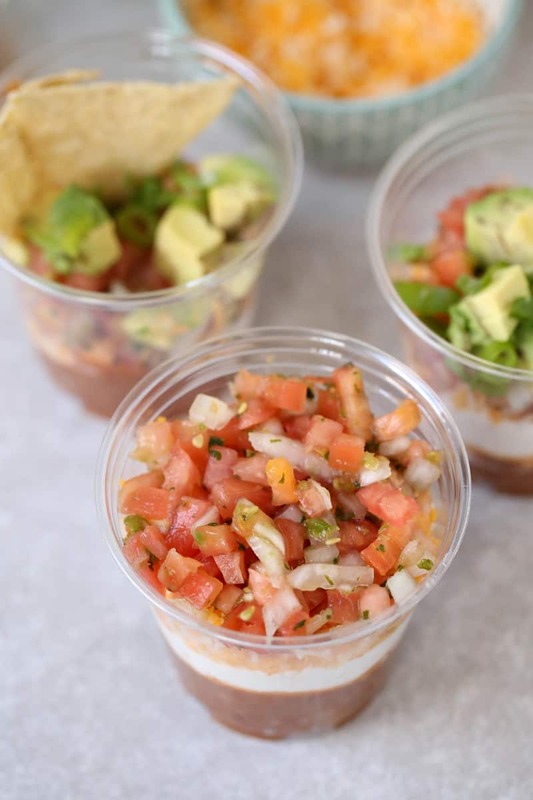 Making them is crazy easy, gather up your ingredients and set them out nacho bar style! 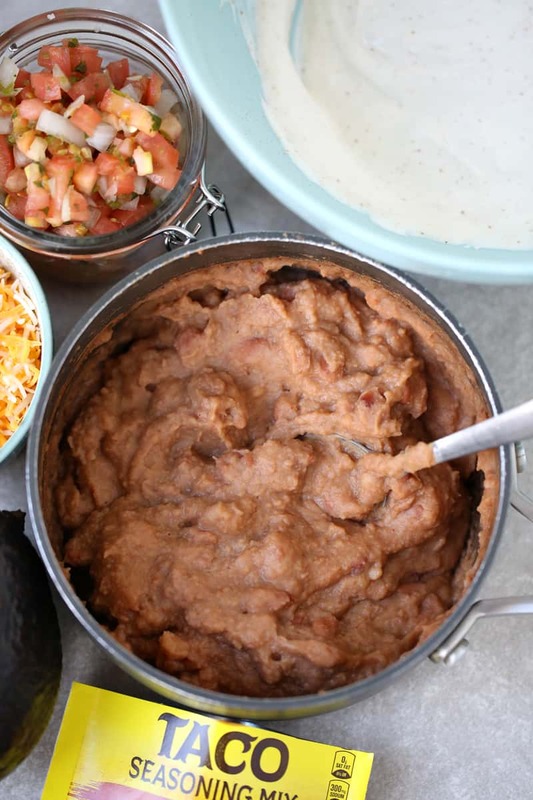 I mix some taco seasoning into both my beans and sour cream, that way if someone leaves one or the other out of their own cup creation, they won’t miss the spice! and then garnish how you like with avocado or guacamole, and top with tortilla chips! Look at those layers of yummy deliciousness! 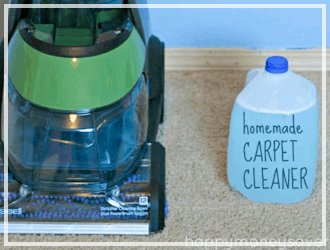 Seriously… look how EASY this is to prepare! 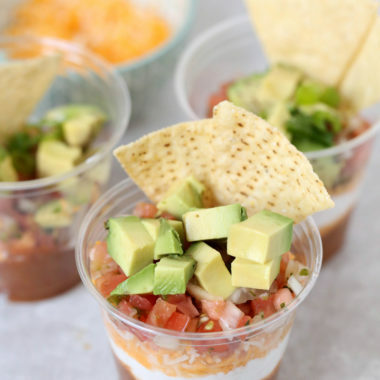 Prep the fixin's for these easy nacho cups ahead of time to make a quick afternoon snack! 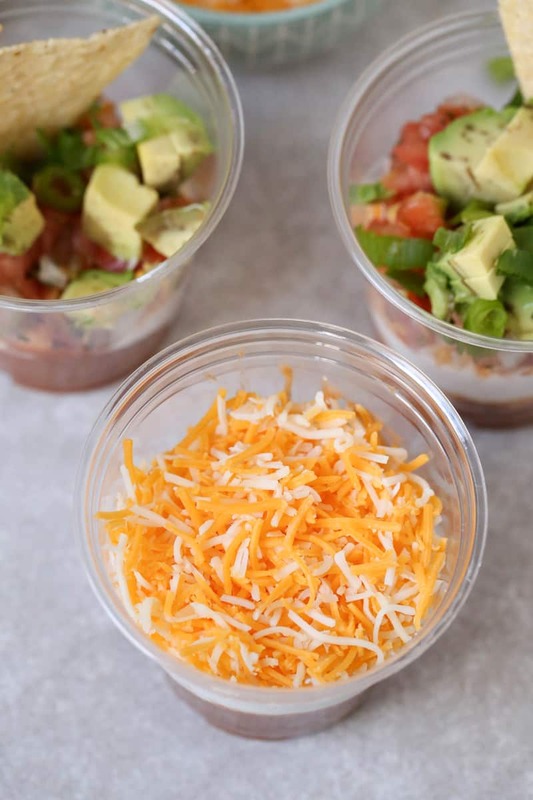 Prep all ingredients ahead of time and keep in plastic containers in refrigerator so you can pull them out to make easy nacho cups anytime! Of course, don’t forget to “Pin It” so you don’t forget it! What a delicious recipe!! I LOVE nachos and guac – my two favorite foods, literally! Haha perfect party appetizer too. Yum! Oh you just made me crave for nachos! I love these single-serve nacho cups. I imagine how great this would be at a party! These are so cute! We love nachos in my house….a lot. So these would be perfect for us! These ARE easy! 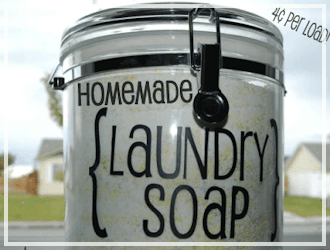 What a great idea, especially for a house full of a lot of guests! My husband and son would just devour this. I cannot wait to make this for them soon. This is such a great idea for hosting! I feel like I am always going back and forth the dips- this is so handy. My family loves nachos, tacos, and everything else like that. 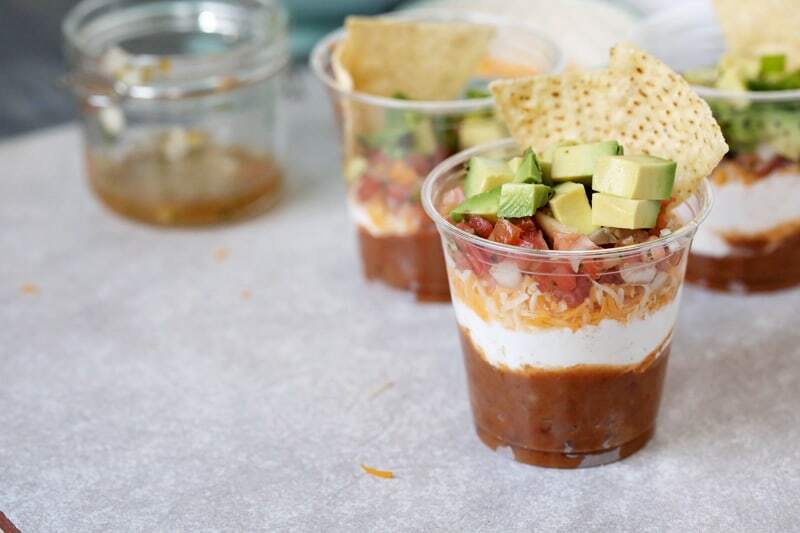 These nacho cups would be a really fun snack. I love this idea for parties or just ME ; ) I’ll make this for me and the family come this Saturday for lunch (it’ll be a nice change and add a little fun! These are really cute. I bet they would be great for a fun kids gathering. A birthday party maybe. What a great idea for our next get together. Been looking for something different to serve chips and dips, and this certainly is the answer to my question. Love it! 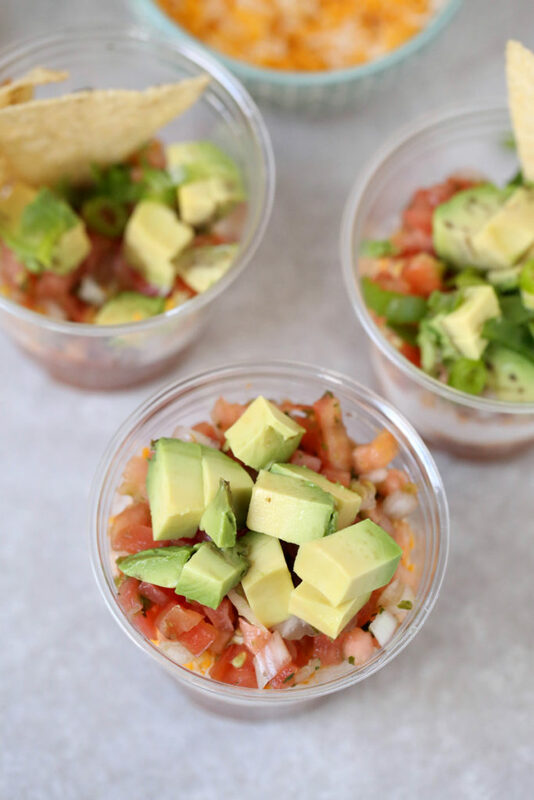 These nacho cups look amazing. We love things like this in our house. 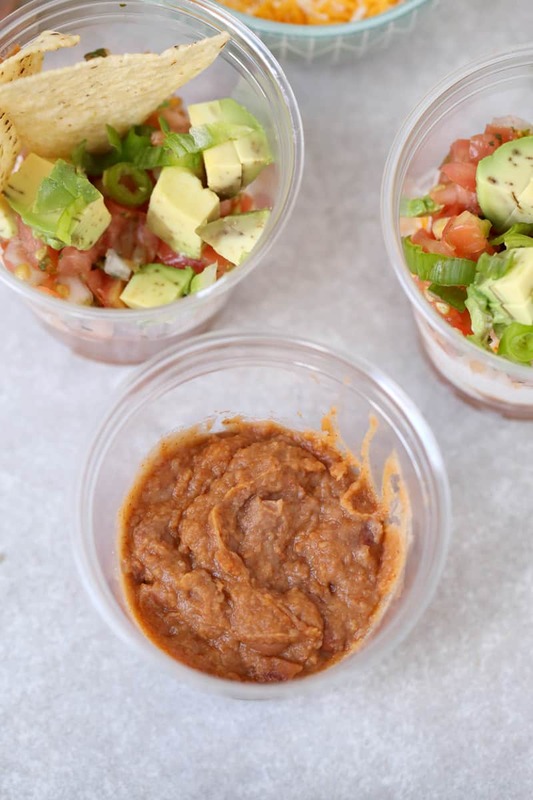 We all love salsa and avocados and cheese! 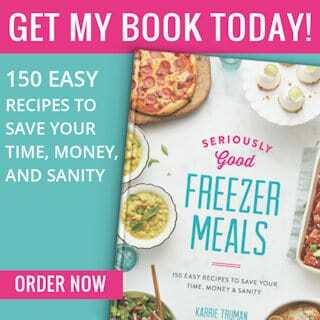 I have to make these soon. This would be perfect for my next party! People can carry them around at the party and still enjoy chips and dip! So funny we just made 30 of these cups last night for a women conference we had. It was easy to make and the women loved it. Grab and go, perfect. Hi! Can someone direct me to what size cups and where to order?